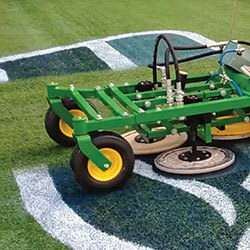 Our TempLine synthetic turf cleaning equipment and supplies are designed for the sole purpose of removing paint from artificial turf playing fields. 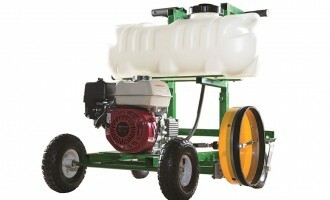 With options for paint removal (low viscosity or a thicker gel), we have you covered for whatever your climate brings. 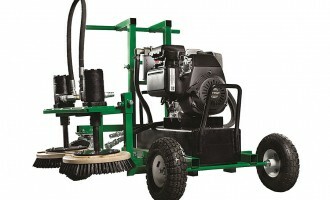 Use the Scrub Bug scrubbing machine with the Water Bug washing system and you will get dependable paint removal results every time. 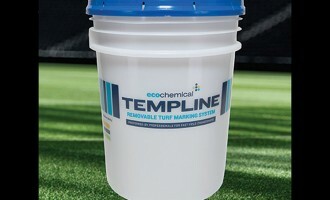 Also see our complete line of TempLine Paints.